Defence and Security company Saab selected the XJTAG development system to speed up the process of debugging and testing multi-layer development boards destined for its IDAS and CIDAS projects used in electronic warfare systems. The reuse of tests on the XJTAG system is a big time saver. The design for test (DFT) reports help us ensure that a very high percentage of our circuits are testable before we go into serial production and, with the aid of boundary scan tests, we get closer to our goal of 100% test coverage on production Shop Replaceable Units (SRU). We have initially used XJTAG in the production environment to test complex, high density, multi-layered board designs containing FPGAs and CPLDs, and have recently introduced the solution to the development and debug stage with great success. Saab serves the global market with world-leading solutions, products and services ranging from military defence to civil security. With operations and employees on every continent, Saab continuously develops, adapts and improves new technology to meet customers’ changing needs. 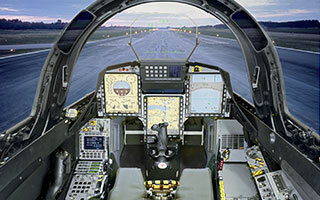 Saab operates in five business areas: Aeronautics, Dynamics, Electronic Defence Systems, Security and Defence Solutions, and Support and Services.